I always enjoy meeting new people. A good time to start Christmas shopping. I will be there with my usual artwork, notecards, and Christmas cards. As always the Sugar Plum Fair is a wonderful place to find unusual and unique gifts to begin or finish up your Christmas shopping or to find a delicious addition to your Thanksgiving Table. I will be there with my artwork, notecards, Christmas cards and Christmas gift-wrapped sets of the "Road Not Taken" notecards. If you are looking for artwork for Christmas giving this is the place to go. Local artist will be displaying their artwork for sale at the historical Searles School and Chapel. 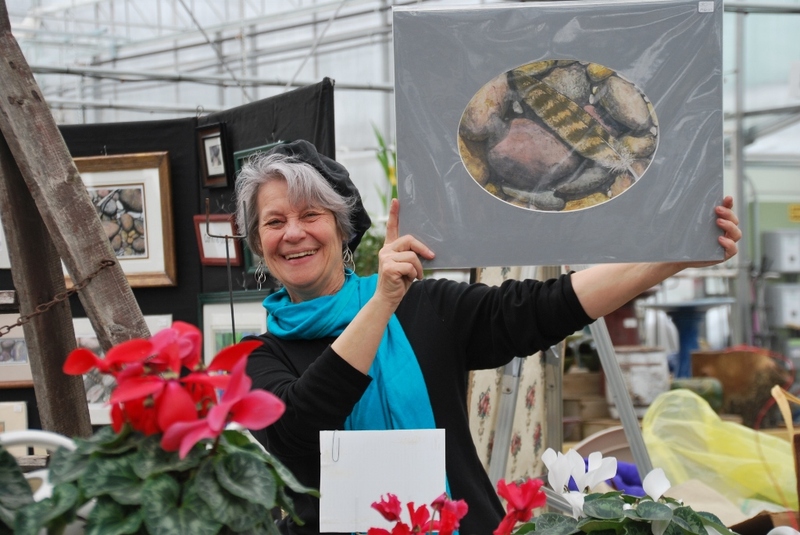 The Friends of Moeckel Pond will again be sponsoring the Windham Arts Association's Pop-up Art Gallery in the chapel. Not too late to purchase Christmas cards or a Christmas gift-wrapped set of the "Road Not Taken" notecards.